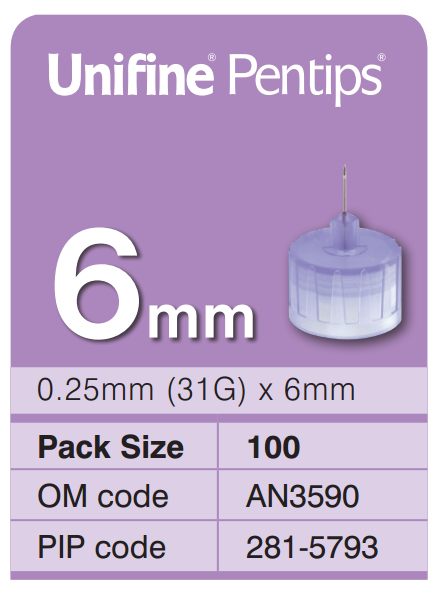 Unifine Pentip Pen Needles Sterile And Compatible With All Commercially Available Insulin And Non-Insulin Devices. 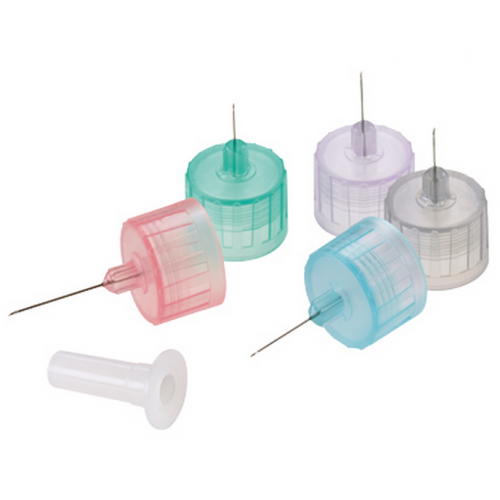 Free Pen Needle Remover Included In Each Box. 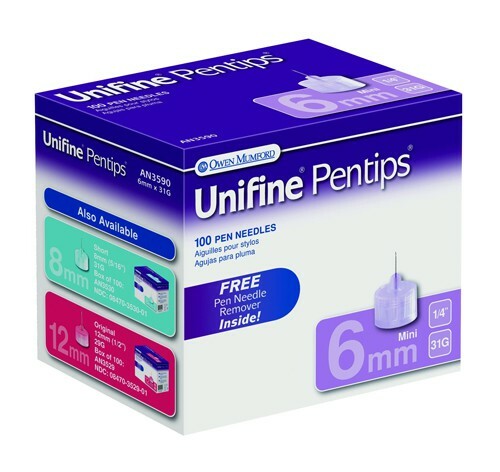 Unifine Pentip Pen Needles are ultra thin pen needles with a silicone lubricating coating designed for maximum comfort. 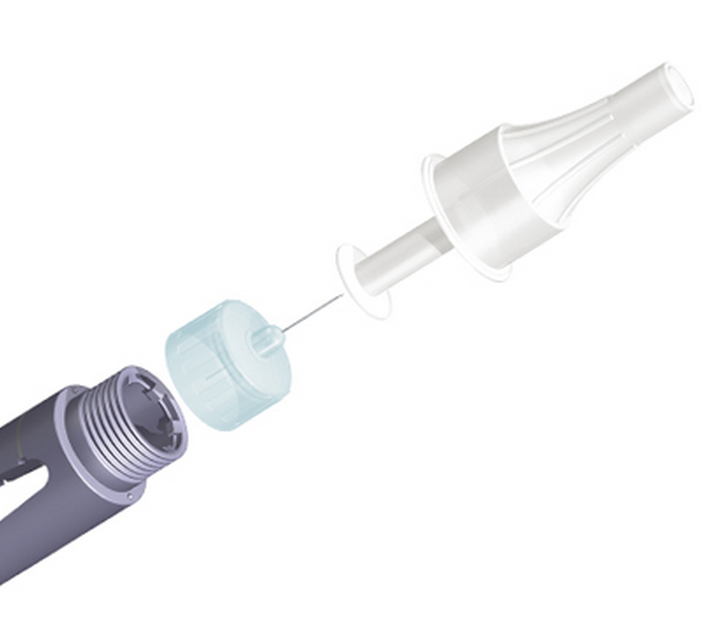 Unifine Pentip Pen Needles fit quickly and easily ALL diabetes medication injection pens. 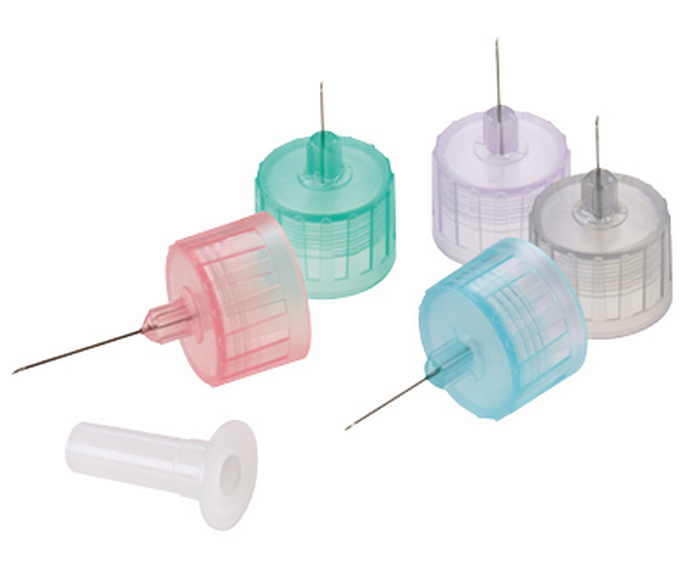 Comfort - triple sharpened, silicone lubricated needles. 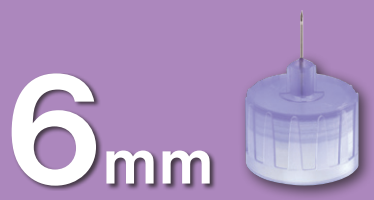 Care - double sealed for complete protection. 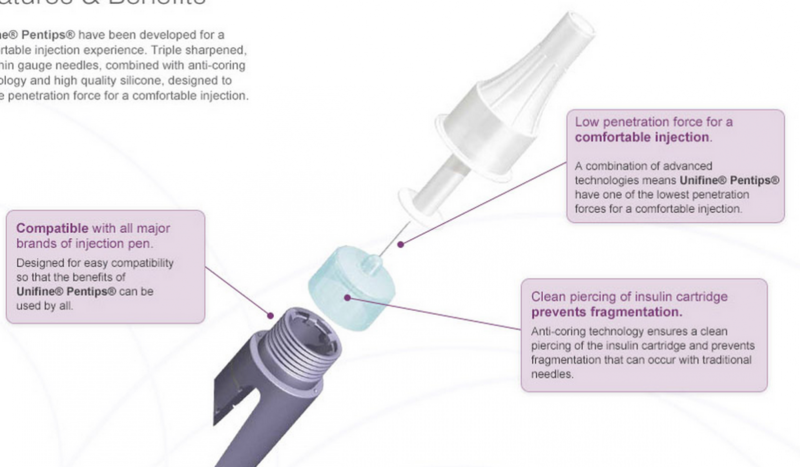 Compatible - with ALL diabetes medication injection pens.